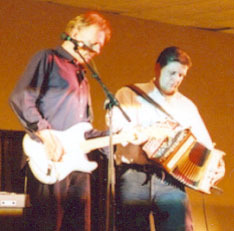 Little Johnny England is a band from the Oxford/Banbury/Northampton section of England. They have a folk-rock sound, in which can be heard a number of past influences, however still sounds distinctively theirs. Their members are: Gareth Turner on melodeon, P.J. 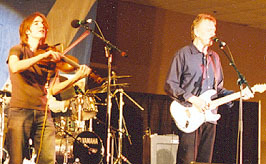 Wright, lead vocals and electric slide guitar, Guy Fletcher on the fiddle, Mat Davies on electric bass, and Edd Frost on drums. They do traditional songs, plus their own original compositions.